WASHINGTON, Mich. -- Metro Detroit has its share of premiere tournament venues. It starts with Oakland Hills Country Club, a Ryder Cup and U.S. Open host. TPC Michigan was also host to the Senior Players Championship until Ford bowed out as sponsor after 2006. 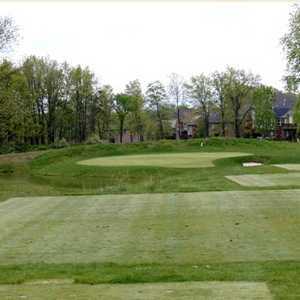 The Orchards Golf Club is a popular tournament venue in southeast Michigan you can actually play. Both golf courses are private (though the TPC Michigan has limited stay-and-play packages with some area hotels), but you don't need a membership to play The Orchards Golf Club. It's tournament-tested and will take Johnny Public's money every day of the week. Opened in 1993, The Orchards is the centerpiece of a 525-acre community near Rochester, just north of Detroit in Oakland County. In fact, from the first tee, you can catch a glimpse of the Detroit skyline in the haze about 25 miles to the south. The Orchards Golf Club hosted the 2002 U.S. Amateur Public Links and has also served as a qualifer for the Buick Open when the event was staged further north at Warwick Hills Golf & Country Club and is also a U.S. Open Qualifying host. Suffice to say, you're getting the tournament challenge here on a Robert Trent Jones Jr. design with fast, sloping greens and plenty of bunkering to challenge tee shots. From the back set of tees, the course plays 7,036 yards with a slope/rating of 74.5/136. The course features a mix of open and wooded holes. Some have houses off to one side while many others are void of them entirely. On the 13th hole, a narrow par 4 played through woods, our group witnessed what appeared to be an eagle (or some kind of large, predatory bird) making a kill on a small sparrow, which was a pretty good dose of the food chain in action given it's metro Detroit locale. While some holes on both nines are cut through dense woods, a few spots at The Orchards Golf Club are wide open, including six holes that share fairways, Nos. 3-4, No. 11 and Nos. 15-17. The 16th and 17th are certainly the most "designed" holes by Jones. The 16th is a short, potentially drivable par 4 that plays downhill and doglegs around water with bunkers galore. On the 17th, you tee off uphill and must navigate around a huge tree in the fairway (steer right of it if you can) before playing to another well-guarded green. Well protected greens are the name of the game here, which helps defend the course even when the pros and top amateurs are teeing it up. 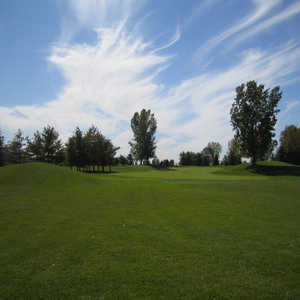 The golf course presents several different faces, though it starts and ends in a player-friendly fashion. Both the first hole and 18th hole are par 4s that play downhill, though the 18th is longer and features a well-guarded green full of bunkers on the left side and water to the right, so be sure to bunt your drive down the fairway as much as you can. The Orchards Golf Club sets out to offer a "club-for-the-day" experience in a city full of prestigious clubs you can't get on. The facilities come complete with a huge practice area and firm, fast conditions on the golf course. You have no excuse to get a good stretch in before your round; there is a stretching center next to the practice tee where you can get as creative as gravity will allow. The clubhouse features a full-service locker room, pro shop and dining room with seating up to 100 people, plus banquet facilities that can accommodate 165. Summer rates peak out at $68 on weekends with a cart, though afternoon and senior specials are available. Within a few blocks of downtown Rochester, the Royal Park Hotel is the area's top luxury hotel, in a quiet setting just minutes from everywhere you need to be in Oakland County. It's on the smaller side with 143 luxury rooms with large, oversized king beds, free WiFi and premium cable channels. Suites are available, complete with kitchens and dining areas for extended business stays. The hotel's proximity to the Palace of Auburn Hills and DTE Energy Music Theatre makes it a popular choice for musicians and NBA teams in town -- while the breakfast menu will load you up enough to believe you might be able to catch rim yourself -- or at the very least crack a few 300 yarders in the morning. It is a great course but I'll never come back. We were actually harassed by a pain in the but ranger who kept pestering us to hurry up, even though we had caught up to the group in front of us and had to wait to hit several times. What really p’d us off is when we reached an open spot and could see there were no groups behind us for 2-holes. We complained to the manager but nothing much was done. I was tempted to tear down their public welcome sign and keep it as a reminder to NEVER return.